Mr Nishat Ahmad Khan Daha son of Khan Hazara Khan was born on January 15, 1948 at Khanewal. He graduated in 1969 from Government College, Sargodha. An agriculturist and a businessman, who served twice as Chairman, Khanewal during 1987-93; and as Tehsil Nazim, during 2001-05. He served as Member, Provincial Assembly of the Punjab during 2008-13 and functioned as Parliamentary Secretary for Mines & Minerals during 2009-11. He has been elected as Member, Punjab Assembly for the third consecutive term in general elections 2018. He has travelled to UK, USA, China, Thailand and Malaysia. He belongs to a renowned political family. 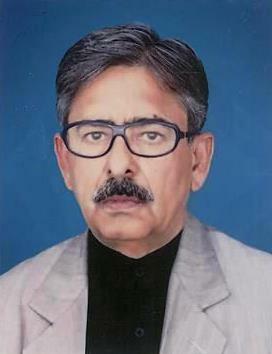 His brother, Mr Zahoor Ahmad Khan Daha served as Member of Punjab Assembly during 2002-06 and also functioned as Parliamentary Secretary for Finance during 2003-06; another relative of him, Haji Irfan Ahmad Khan Daha served as Member, Provincial Assembly of the Punjab for four consecutive terms during 1988-90, 1990-93, 1993-96, 1997-98 and also functioned as Parliamentary Secretary for Finance during 1990-93 and as Minister for Transport during 1997-98; his uncle, Aftab Khan Daha remained Member of National Assembly for four consecutive terms during 1988-90, 1990-93, 1993-96 and 1997-99 and also functioned as Parliamentary Secretary for Information. Chah Niazi Wala, Tehsil & District Khanewal.